We like to think that public transportation is safe and secure. Taking the bus, subway, ferry, train or commuter train contributes to a cleaner environment by taking gasoline-powered vehicles off the roads, reducing congestion and providing an economical way for so many people to commute or travel. Unfortunately, the municipalities responsible for operating and maintaining public transit systems and the individuals that drive them do, on occasion, neglect their obligations or are careless in their policies and operations. If this has happened to you or a loved one, call Neil Burns and Roshan Jain, a Boston personal injury law firm that has successfully collected considerable compensation for those injured in commuter rail accidents. Whenever a public transit vehicle like a commuter train is involved in an accident, there are sometimes multiple casualties since many passengers are on board. Accidents involving the MBTA, or Massachusetts Bay Transit Authority, are not that uncommon. 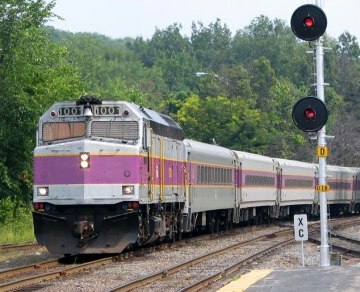 In 2008, for example, a commuter rail accident in Newton killed the operator and left 10 passengers injured when the train slammed into the rear of another commuter train that had stopped at a red signal. Numerous other commuter train accidents include derailments, collisions with pedestrians on the tracks or with cars at railroad crossings. According to research by USA Today, a train or commuter train accident happens on average of once every two days in the US. The Federal Railway Association indicated that 27 railroads over an 11-year period reported 2,259 accidents with 50 fatalities and 2,685 injuries. These statistics do not include trains under the jurisdiction of the Federal Transit Administration, which regulates subways and other trains. We think of commuter trains being operated remotely or at least by computer but operator error is often to blame for accidents such as failing to stop for red signals either through distraction, fatigue, impairment by alcohol or drugs or other carelessness, and resulting in a rear end collision with another train. 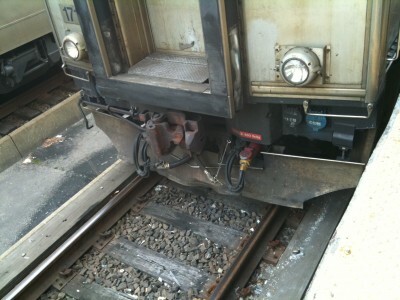 Derailments are often the result of operator error from excessive speed or improper use of brakes. Aging railway systems are also to blame in some instances. A defective track or poor maintenance can derail a train when small cracks develop on the track or when the gauge distance between rails widens or a crosstie becomes loose, causing the train wheels to misalign with the track. You can be compensated if you or a loved one is injured on a Boston area commuter train. The MBTA is the responsible entity and even though a government agency, it is still considered a common carrier under Massachusetts and federal law. Common carriers are held to a higher standard of care since passengers are being transported and must exercise the utmost care, diligence and attention to ensure the safety of passengers and others affected by its operations. Commuter train accidents are investigated by the MBTA and the National Transportation Safety Board if it is a major accident. Your attorney can also conduct an investigation with the assistance of experts in train accident reconstruction. By using all reports available, a clearer picture of the causes of an accident can emerge, which may include multiple factors. Loss of earnings may include income lost in the future if you suffered a loss of capacity to earn and were no longer able to work or had to take a job at a lower salary because of your injuries or disabilities. Wrongful death claims are complicated matters and proving the damages to which you are entitled can often require the services of economic and financial experts. Burns & Jain is a Boston personal injury law firm that has also been a community activist and advocate for low income residents as well as for those injured by the negligence of others, including giant entities such as the MBTA. He has successfully obtained millions in compensation for injured clients in various types of personal injury accidents including those involving commuter rail accidents. Contact his office today if you or a loved one was injured in a commuter rail accident or any other type of accident.